However, Fr Sultana has suggested that the incident has been blown out of proportion and he hit out at comments criticizing the event. 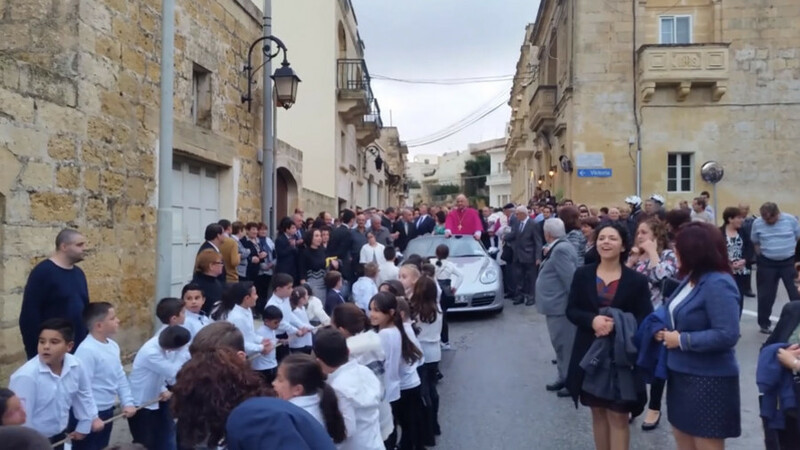 A spokesperson for Gozo Curia, the Catholic Church in Malta, further added that the priest did not have a say in the finer details of the traditional priest parade. The Catholic priest has found an ally in local counselor Sandra Grech, who defended Fr Sultana, adding that the “unique feast,” was welcomed by everyone in the town. This entry was posted in Religion and tagged Catholic Church on November 16, 2018 by Bone Fish. The Catholic version of “pulling a train”. Few are surprised; the Catholic Church has been suckering people in for ages.